Thanks for the question Brett. I’ll write a fuller Macro Photography Tips tutorial for DSLR users at some point in the future but here’s a quick tip for DSLR users on a budget. Try out a screw in close up lens. While a purpose built macro lens will get you the best results you can use most lenses that you’ll own by using one of these screw in close up lenses. The problem with normal lenses is that they just can’t focus close enough for a macro/close up shot. 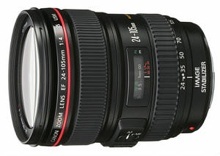 These close up lenses will shorten the minimum focussing length of your lens. Close up Lenses look like normal filters and come in a range of strengths (or dioptres). These are referred to as +1, +2, +3, +4 etc with the higher numbers meaning a closer focal point. The actual focal length of each dioptres point will vary from lens to lens. While you can generally use close up lenses with auto focus cameras they tend to work best when you switch to manual focus mode. PS: Compact Digital Camera users – you don’t have to miss out on close up lenses as many manufacturers make accessories for you too. Check your manual for the accessories available for your particular model. first of all thanks for sharing all this to the world. I am a begineer i have sony a300 with 75-300mm lens and today i found +10 close up filter in store closeout sale in very cheap. i never use it and i have no idea wht is that for but i found wht is that all about , i hooked with my lens but i cant even take pictures with that on. can you give me a idea how to use em" it will be a helpful tips for me as a begineer. thanks. I'd recommend readers take a look at the higher quality Raynox series of macro and micro lenses. These offer superb quality due to the special glass and designs used. I have several. They come with an adapter to fit most lenses with a 52-67mm accessory thread. I bought the close up filters but I can't seem to get my subject in focus, what am I doing wrong? new to photography, but excited to learn!!!! I don't have a DSLR but a super zoom camera (Panasonic FZ7) and recieved one of these for Christmas. It helps a lot. I like the pictures that have resulted since. I have been able to get much better close-up pics since. I recently aquired a set of these macro adapters for my camera (D70 with kit lens) and i must say that they're pretty damn good, certainly enough to keep this beginner happy, and active! And going at $40 for the set, no complaints about cost. Check out this group on Flickr: http://www.flickr.com/groups/poor_mans_macro/ Some great ideas and examples of how to do macro on a budget. I have an 18-70 m/m zoom lens and a 70/300 m/m zoom. Would one of these lenses be more suitable for macro lenses than the other? A nice article.Could we see some sample images from the mentioned dioptre value close-ups please? Look for sample images before you buy, what I found was that the centre of the image comes out fine but the sides is extremely out of focus and not in a good way, the bigger the dioptre the larger the bad side effects!